May 30, 2017 - Like us now! CertCars, a startup incubated at The Nest i/o, received an investment of Rs 5 million on the day of their graduation from homeshopping.pk. Many investors and mentors from different industries were invited to see the final pitches of the 16 startups incubated at The Nest i/o in the past four months. On the day of graduation, all startups get an opportunity to pitch their product or service to potential investors, mentors, and partners. 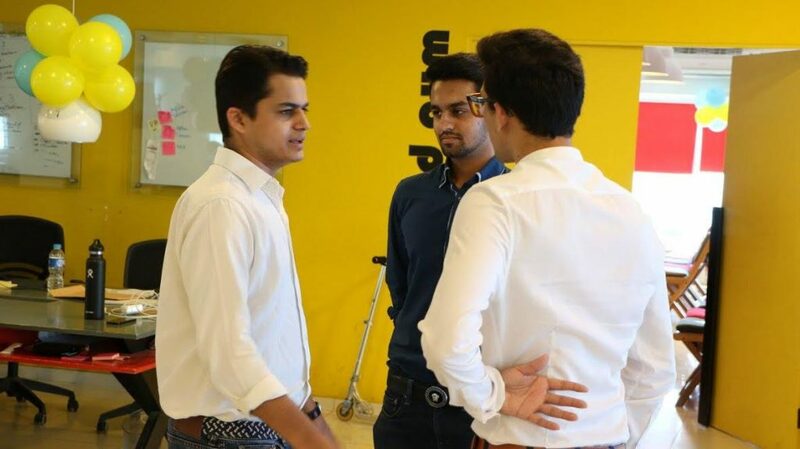 CertCars, one of the 16 startups in Batch 5 that pitched on Demo Day held at The Nest i/o on May 23, received investment from homeshopping.pk to grow their business. “We saw great potential in CartCars.com and the overall passion the founders held to make this happen. The market is big enough and ready for selling cars online in Pakistan if done right” said Shayaan Tahir of homeshopping.pk. He continued and said, “Home Shopping has been in the eCommerce market for around 9 Years and shall be sharing the expertise to make sure that the founders have the support and resources needed to become a leading brand in the automobile industry of Pakistan”. Fahad Hasan, Founder of CertCars, was extremely glad to have the opportunity to pitch to investors at the graduation hosted by The Nest i/o. He commented, “the investment includes both financial and technical assistance where we will be using the existing technology, team, office space of Homeshopping.pk to scale and grow our startup”. CertCars is committed to redefining the existing culture of online buying and selling of vehicles in Pakistan by providing both the vehicle seller and the buyer with an opportunity to sell or buy a vehicle right from the comfort of their homes. The Nest i/o was set up in partnership with global partners Google for Entrepreneurs and Samsung, and with a supporting grant from the US State Department.